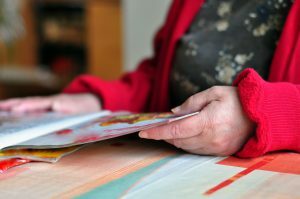 Leaflets and Publications - Cancer Focus NI Information about care services eg counselling, art therapy, cancer research, cancer prevention programmes in workplaces, schools, colleges, sports clubs and community venues, better lifestyles, keeping well, fundraising, events and activities in Northern Ireland. Leaflets and Publications - Cancer Focus NI Information about care services eg counselling, art therapy, cancer research, cancer prevention programmes in workplaces, schools, colleges, sports clubs and community venues, better lifestyles, keeping well, fundraising, events and activities in Northern Ireland. We have a wealth of free information resources abou t cancer and the services we provide. You can download our leaflets, brochures and newsletters here. If you can’t find what you are looking for email us at hello@cancerfocusni.org, or if you want other information about cancer, call our free information and support Nurseline on 0800 783 3339.